Estela Golf course is a true links, located in a magnificent area with 1st class commodities and with a climate cooled by the Atlantic breeze in summer and warmed by the Gulf stream in winter. With is narrow fairways, good tee shots are the key to a good score. The type of grass used contributes to create excellent game conditions with good fairways and greens that are both firm and fast. 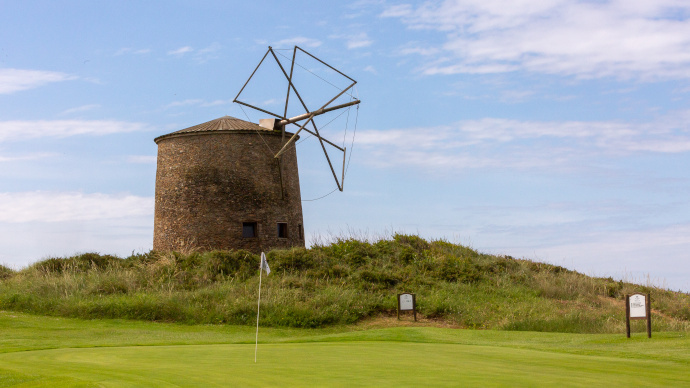 The sound of the ocean is a constant throughout the game, and most greens are elevated and very exposed to the sea breeze.Estela golf course can definitely provide a great golf experience . The Estela Golf Course is located in Póvoa de Varzim. If you are arriving from Porto via IC1, take a right turn towards Estela after the Póvoa de Varzim exit. Afterwards, just follow the signs and you will easily find us after approximately 3 Km.